If you were wondering whether Microsoft could inflict even more damage to Windows' reputation, the answer is yes. When the Anniversary Update rolls out on Aug. 2, Windows 10 Pro users will no longer be able to turn off certain kinds of advertising. That presents a real concern for admins, who will not be able to keep Microsoft from pushing the likes of Candy Crush Soda Saga onto their domain-joined Pro machines. It's also a frightening concern for anyone who paid for Pro's GPEdit feature. Microsoft recently announced it will be able to push live tiles for the likes of Photoshop Express onto any Windows 10 PC, unless it's an Enterprise or Education version. Starting Aug. 2, you won't be able to block them. Windows 10, version 1607 (also known as the Anniversary Update), provides organizations the ability to centrally manage the type of content provided by these features through Group Policy or mobile device management (MDM). She then shows a table (see screenshot) that struck me at the time as quite opaque. In the upper-left corner it says that in the Anniversary Update, Windows 10 Pro users (and admins) will not be able to disable Windows 10 tips and tricks. Sounds innocuous enough, yes? On Wednesday, two blogs posted detailed information about the consequences of that change. I can't tell if Sergey Tkachenko at Winaero got to it first, or Martin Brinkmann at ghacks, but both came to the same conclusion: Microsoft is making changes to the group policy editor -- GPEdit -- that keep customers from disabling certain settings in the Anniversary Update, build 1607. The first change involves the Windows 10 Lock Screen. In the normal course of events, the Win10 Lock Screen appears before the Logon Screen, where you get to choose a user. In Win10 build 1511, you can turn off the Lock Screen in Windows 10 Pro. In Win10 build 1607, due Aug. 2, you cannot. If the Lock Screen is turned off, you go straight to the Logon Screen, where you can enter your credentials and get logged on. If the Lock Screen is turned on, Microsoft can (and does) show you advertising. It's turned on by default -- part of Microsoft's Spotlight advertising effort (see my article, "Let the Start menu ads begin"). I've seen prompts such as "Like what you see?" and "Your personal assistant -- that's me, Cortana!" and ads for Tomb Raider. Decker has a TechNet post on the subject. Microsoft's been playing it cool -- so far -- with few ads displayed as part of the Spotlight push. Other, equally enlightening advertising is sure to follow. In the Anniversary Update, build 1607, you can turn off the ads manually by going to Start > Settings > Personalization > Lock screen, turn "Get fun facts, tips and more from Windows and Cortana on your lock screen" off. (Someone must've snorted a lot of marketing pixie dust before writing that one.) In the same location, you can choose a Background other than "Windows spotlight." It isn't clear to me which ads come from what source, but avoiding both should get rid of the spotlight. In the current build, 1511, anyone running the Group Policy Editor (not available in Win10 Home) can turn the Lock screen off completely by using Computer Configuration > Administrative Templates > Control Panel > Personalization > Do not display the lock screen. In build 1607, on Aug. 2, that setting will contain a note saying "This setting only applies to Enterprise, Education, and Server SKUs." With the Anniversary Update, Win10 Pro users can no longer "Disable all apps from Windows Store" (in GPEdit, go to Computer Configuration > Administrative Templates > Windows Components > Store). As explained in the GPEdit setting, this "turns off the launch of all apps from the Windows Store that came pre-installed or were downloaded. Apps will not be update. Your Store will also be disabled." It's a setting that originally appeared in Windows 8. Ian Matthews on the Up & Running blog found out a few months ago it doesn't actually work in the current Windows 10 Pro, though it works in the current Win10 Enterprise and Education. Thus, the "new" lack of a setting in Win10 Pro Anniversary Update is an affirmation of the fact that it was already broken in Win10 Fall Update, build 1511. In the Win10 Anniversary Update, Win10 Pro users and admins won't be able to turn off Windows tips. That's the subject of J. Decker's post, and it's a bit more far-reaching than you might imagine. Windows 10 tips appear -- much as Clippy did a decade ago -- when Microsoft's real-time telemetry determines that you're trying to accomplish a specific task. (That should make you feel warm and fuzzy.) According to Decker, the tips "appear based on specific user actions to reveal related Windows features or help users complete a scenario." They also include toast notifications when you log on. The tips development effort inside Microsoft is co-owned by 'Softie Subhadip Ghosh, who says it's intended "to display the tips for offers on the taskbar, complete with telemetry framework to track user engagement and conversions." Additionally, per Decker, this includes "users who have a connected Microsoft account, toast notifications about their account like parental control notifications or subscription expiration." You can find this setting in GPEdit under Computer Configuration > Administrative Templates > Windows Components > Cloud Content, Do not show Windows tips. It appears you can turn the setting off manually via Start > Settings > System > Notifications & actions, then slide Off "Get tips, tricks, and suggestions as you use Windows." As is too common, there's no documentation I can find that links that Settings app setting with the similar-sounding entry in GPEdit. Most disconcerting is the fact that Microsoft has disabled the GPEdit setting in Win10 Pro called Turn off Microsoft consumer experiences. It's located in GPEdit directly below the "Windows tips" entry. The obvious question is, what's a Microsoft consumer experience? The latest Windows 10 feature upgrade released this month (1511) includes a new feature that automatically installs a few apps from the Windows Store… To disable the features, there is a group policy provided under "Computer Configuration --> Administrative Templates --> Windows Components --> Cloud Content" called "Turn off Microsoft consumer experiences." I can't find an official list of "consumer experiences," but they include a lot of tiles for crapware now being installed by Microsoft on new machines. My list is pretty impressive. Here are the crapware app tiles I've seen installed by Microsoft on my test machines, apparently as part of the Windows 10 consumer experience: Candy Crush Soda Saga, Flipboard, Adobe Photoshop Express, iHeartRadio, USA Today, Twitter (the official app), Farmville 2, World of Tanks Blitz, Duolingo, and Pandora. Microsoft's also pushed tiles for its own Minecraft, Get Office, and Solitaire Collection. The apps aren't installed when you upgrade. They're installed in separate "consumer experience" steps, dribbled out slowly, under complete control by Microsoft. One morning you'll wake up to a Candy Crush Soda Saga tile on your Start screen. From Aug. 2 onward, you're going to get tiles for any apps Microsoft wants to push, whether you want them or not, unless you're running Win10 Enterprise or Education. If you're connected to a domain, even your admin can't turn them off. Usually GPEdit changes can be duplicated by manual changes in the Registry. In these cases, I haven't found any manual workarounds. It's a shame that Microsoft decided to make Windows 10 Pro behave so unprofessionally. These changes make the Pro edition far less attractive for business users. 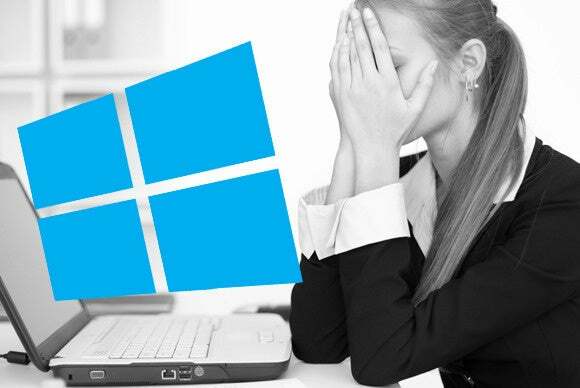 Those who rely on Windows for professional use will have to tolerate random apps and games from the Store being installed on their work PC. By doing these changes, Microsoft is directly forcing these customers to get the higher priced Enterprise or Education editions which are only available through volume licensing. Volume licensing is not only expensive, complicated but requires you to purchase a minimum certain number of licenses. Remember how I warned about "unanswered questions" in Windows 10 -- how the great unknown is a major reason for not upgrading? Well, we now have one answer. Microsoft is very good at spreading its own fear, uncertainty, and doubt. Woody Leonhard is a columnist at Computerworld and author of dozens of Windows books, including "Windows 10 All-in-One for Dummies."